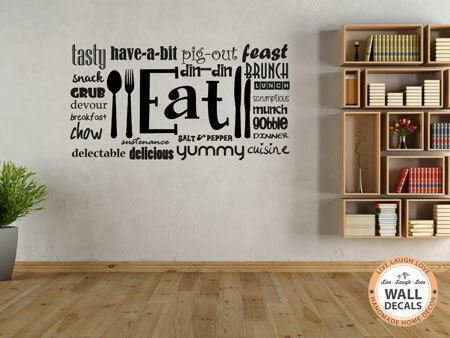 Live Laugh Love's vinyl wall art is a quick and easy way to add some instance décor to any room, and they are just as easy to remove. Take your time and don't be in a hurry. A lot of vinyl wall art work like puzzles that must be put together in parts. 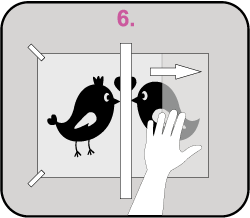 Make sure you read and follow the step-by-step instructions provided. Detailed designs, quotes and words have a clear application sheet much easier. 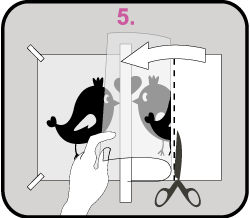 The vinyl must be removed from the backing sheet but do not remove the application shet before application. Take care when removing the backing sheet as the fine detail might tear. 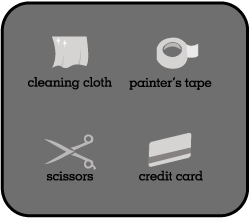 These are some tools that you might find useful - Cleaning cloth; painter's tape; scissors; credit card. Clean the surface with a dry cloth. The surface needs to be dry and can't be freshly painted. Place your vinyl wall art on a flat surface. 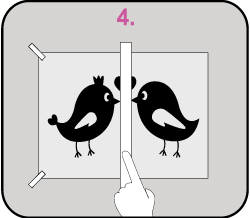 Using your squeegee / credit card rub it to ensure that the transfer tape adheres to the vinyl wall art. If possible, ensure any bubbles are removed. Line your wall art up on the wall, then use some painter's tape to hold it in place. Place a piece of painter's tape down the middle of the wall art. Then remove the tape from one side. 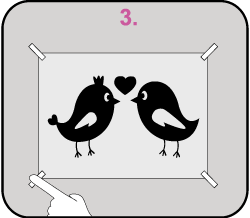 Peel back the transfer paper ensuring that the vinyl wall art comes off the white backing paper. 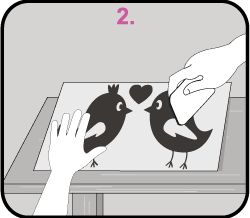 Then cut away the left over backing paper. Use your hand to smooth out the wall art. Be sure to start from he middle and work your way out. Avoid causing bubbles and wrinkles.